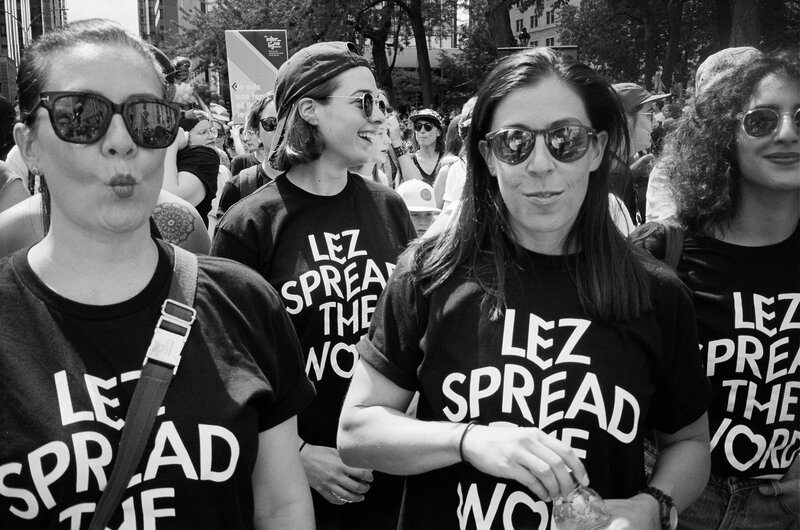 Launched in Montreal in 2012, Lez Spread the Word is an LGBTQ+ organization devoted to producing content by and for queer women. Its first project was an eponymous news and entertainment website, followed by the award- winning web series Féminin/Féminin, which aired on Radio-Canada in Quebec and France Télévisions in Europe, and through Amazon and Hulu in the United States. A dramedy that looks at the intersecting lives of a dozen or so queer characters, Féminin/Féminin recently wrapped its second season. Other notable initiatives include the bimonthly party Où sont les femmes? ; #12, a beer co-created with Montreal’s Brasserie Harricana; and the sold-out play Coco. In the fall of 2016, Lez Spread the Word published the first issue of lstw, a bilingual print magazine committed to fighting queer invisibility. A host of other projects are in store for 2019.